Western towns surrounded by federal public lands are in a serious bind. They're seeing a huge surge in visitors coming to play in the mountains and forests surrounding them, which is leading to an economic boom. But federal funding to manage that land is drying up. NPR's Kirk Siegler reports some tourist-dependent towns are having to get creative. 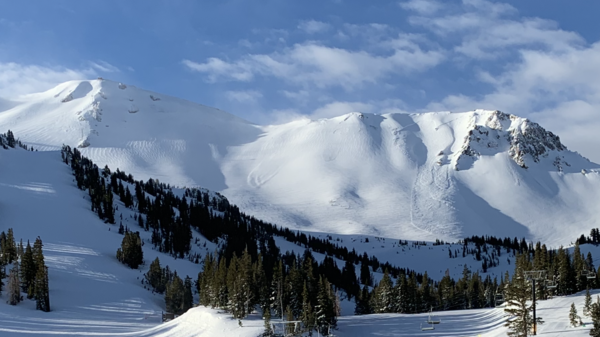 KIRK SIEGLER, BYLINE: It's boom times in Mammoth Lakes, Calif. - a winter of record snowfall. DONOVAN SLIMAN: Come on this way, girls. SIEGLER: Donovan Sliman and his two daughters, Nava and Grace, are lumbering up a snowy trail where the condos give way to national forest. SLIMAN: I like to get away from everybody else (laughter). I like to hear the sound of the wind and the snow through the trees. GRACE: We're also probably going to play out in the snow and go sledding. 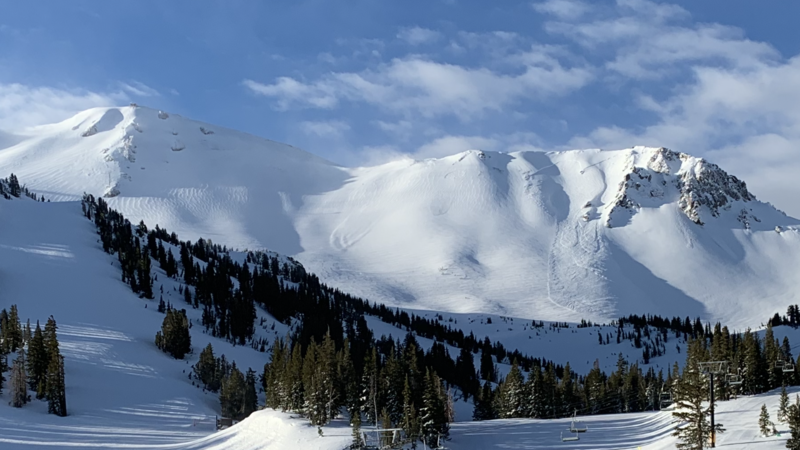 SIEGLER: Mammoth is completely surrounded by either protected federal wilderness or public Forest Service land, which its ski resort operates on via a federal lease. SLIMAN: Enjoy your public lands. SIEGLER: And there are more people than ever before doing just that. California's eastern Sierra region - about the size of Massachusetts - only has about 50,000 residents. But every year, more than 2 million visitors are now descending here to camp, hike, fish, hunt and ski. MEGAN LAWSON: There are these dramatic increases in recreational use of public lands. SIEGLER: Megan Lawson is tracking the recreation boom at the nonprofit think tank Headwaters Economics. In the last 10 years, that visitation has climbed by about 15 percent. LAWSON: And at the same time, dramatic declines in recreation budgets. SIEGLER: Since 2000, Forest Service recreation budgets have been cut by a third as more and more money is diverted to fight wildfires. That means less for managing wildlife, hiring rangers to patrol and protect the land and for maintenance of trails, river access and campgrounds. John Wentworth worries about a future where public lands are loved to death. JOHN WENTWORTH: Trailheads are trashed. Bathrooms don't work. Trails aren't maintained. People are parking all over the place. SIEGLER: A Mammoth town councilman and former mayor, Wentworth loves to show off the wild lands surrounding town. Driving, he points out his favorite backcountry ski line up on some glades. WENTWORTH: That's called Rock Chute. SIEGLER: A few minutes later, he's stopping his truck at a dead-end road. WENTWORTH: Here's one of my favorite places to come. I can park right there. It's two minutes from my house. SIEGLER: It's a popular U.S. Forest Service trailhead that Wentworth says was getting pretty lawless at peak times until his town stepped in. SIEGLER: They got voters to approve a tax hike to pay for maintenance and staffing at gateways to federal public lands. They put up big informational signs laying out the rules here. There's even a doggy bag bin - all stuff the U.S. government would have paid for in another era. WENTWORTH: It's discouraging and a little frightening to see that federal presence go away. But on the other hand, there are real opportunities for better management if it's more localized. SIEGLER: This was the theme of a summit Wentworth organized here recently, drawing leaders and outdoor recreation business owners from around the West. SIEGLER: They strategized about coping with budget cuts and swapped success stories. Vail, Colo., is paying salaries for extra federal rangers to staff a crowded hiking trail. Volunteers are doing wildlife counts in Montana to help overworked scientists. In California, private money is building new mountain bike trails on public land. ALLEN PIETRESANTA: We are the envy of people in the world for our public lands. 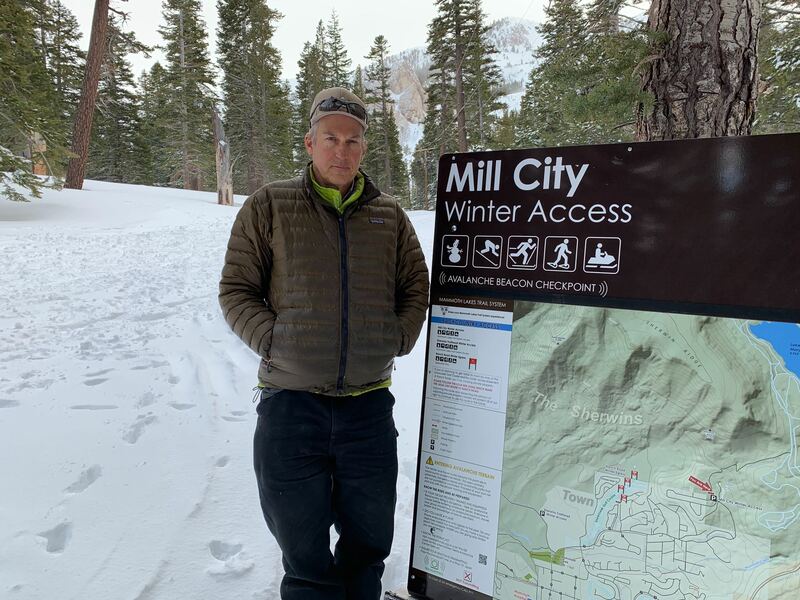 SIEGLER: Allen Pietresanta heads the Sierra Business Council, which is helping struggling towns transition into outdoor recreation-based economies. This is an increasingly lucrative business in the rural West. PIETRESANTA: We're looking to keep the public in public lands and looking at creative and new ways to help manage them and keep them healthy and vibrant. SIEGLER: Folks here said they're tired of all the hand-wringing and waiting for solutions from Washington, so they're doing what they can locally for now. People are coming to America's public lands by the millions, says John Wentworth. WENTWORTH: They love it. It's free. It's their legacy. And they're showing up. We've got to be ready for them. SIEGLER: Kirk Siegler, NPR News, Mammoth Lakes, Calif. Transcript provided by NPR, Copyright NPR.